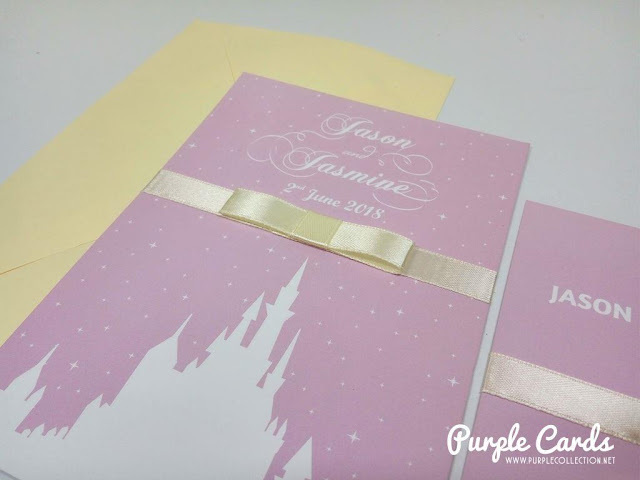 This wedding card is custom designed for Jasmine and Jason. Her preferred theme colours are in lilac and white with a castle and embellished with a cream satin ribbon. The QR code is the waze navigation to the hotel location. 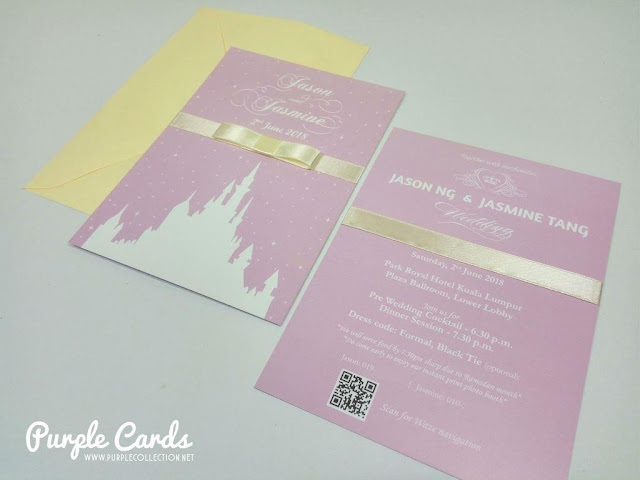 Are you interested to have your wedding card personalized? Chat with us at WhatsApp!